Ramen is one of the most popular noodle dishes in Japan. There are a lot of ramen shops and people love various kinds of ramen they serve. People also like making ramen at home. You can buy all sorts of ramen kits at any supermarket in Japan, but in this course, we will make proper ramen soup with natural ingredients, without using a ramen kit. Soup is very important for ramen. It takes a while to cook, so we will make gyoza dumplings while we wait for the soup to be done. 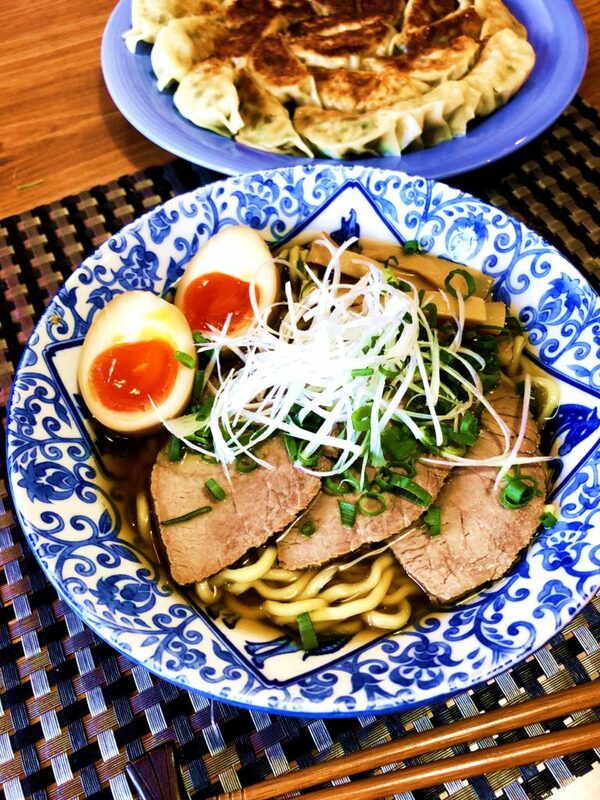 You will get a basic idea of ramen and gyoza after this course, and you will be able to make it yourself when you go back to your country. You can choose pork or chicken. You do not have to clean up or wash up.